The Home Cleaning Services by Allsafe Cleaning Melbourne are the most affordable, friendly and efficient in Melbourne. Our professional home cleaners are some of the best well-trained staff in the industry and our customer service cannot be beat. We guarantee your satisfaction on every single job we perform, and we are confident that once we work together, you’ll become a customer for life. It’s our staff that makes the difference. They enjoy what they do, and as a result, they do their jobs with personal pride. You’ll be amazed at the difference you’ll notice when you work with Melbourne home cleaners you can actually get along with! They’ll work harder for you. 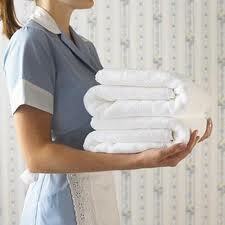 We have the most professional, well-trained home cleaners in the entire city; our low prices are just an added bonus! Call today on (03) 9021 6889 and one of our service representatives will help you schedule an appointment. They can also answer all of your home cleaning questions or suggest a combination of services that will allow you to take advantage of our deep discounts! You can also schedule service from our online booking form.